Mobile World Congress, one of the year’s biggest exhibitions of cutting edge wireless technology, recently took place this last February in Barcelona, drawing hundreds of industry-leading companies from across the globe. With so many events taking place over the conference’s five-day span, it was easy to get lost in the blur of demonstrations and announcements. While the Semtech booth was abuzz with fans of our leading LoRa® devices and wireless radio frequency technology (LoRa Technology) for the Internet of Things (IoT) eager to catch a demo, one conference event stood out to me as one of LoRa Technology’s biggest success stories at MWC, the 10th Innovation World Cup. 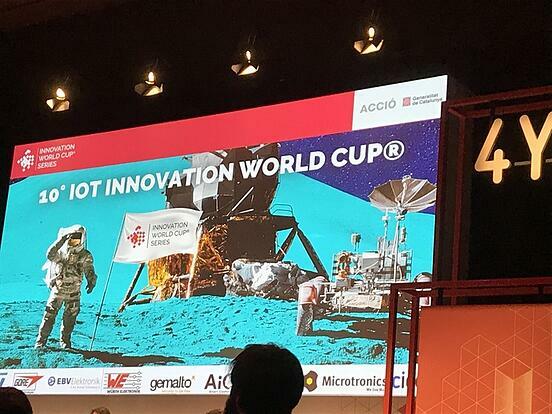 The Innovation World Cup is a celebration of some of the most innovative IoT startups of the year, and how their applications are creating solutions to complex problems in verticals from industrial and city, to lifestyle, agriculture and the home. 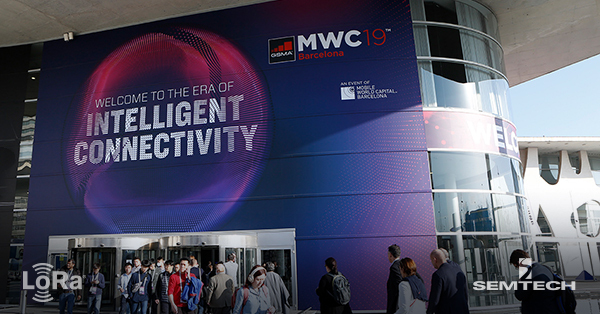 Over 500 submissions from around the world applied for the competition, but only the top 20 were invited to be honored at MWC 2019. In this blog we’ll be highlighting those startups that submitted LoRa-based products for the World Cup, keep an eye out for these companies to make a serious impact on the industry in the near future. Aonchip – The WaterSens smart water control platform. Breeze Technologies - Environmental sensor and air quality monitoring solutions. 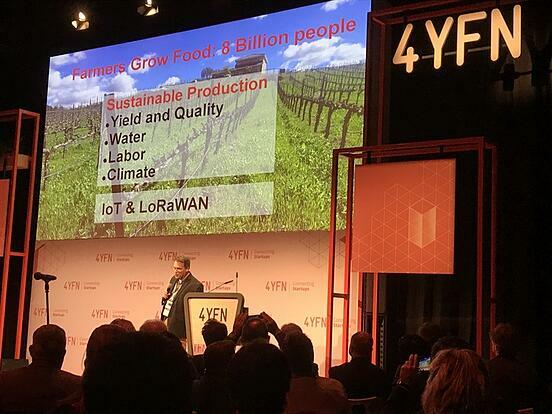 CleverFarm – Smart Agriculture and Irrigation sensors. IOTEROP - SensorHub for increased interoperability in IoT sensors. IoTize – Solutions for migrating new and existing electronic systems to IoT. NOWI – Smart battery monitoring solutions, extending sensor life. Tarilian Laser Technologies – LoRa-enabled medical sensors for blood pressure and heart health monitoring. 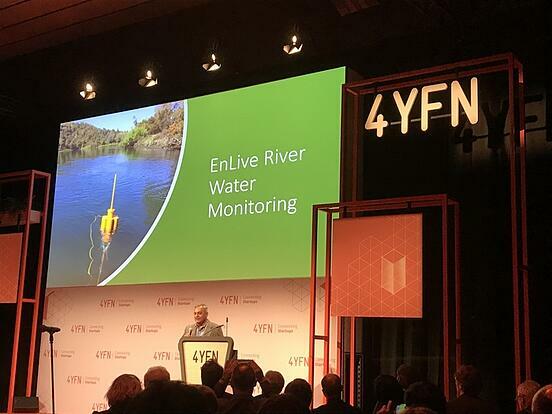 KotahiNet - a leading creator of IoT applications from New Zealand, developed a system of LoRa-based sensors to screen rivers for pollution. Data on pollution levels is reported to communities for evaluation and notification if areas are unsafe to swim or drink. Sensors also monitor water levels for pollution indicators to predict if a certain river or area may become polluted in the future. Vinduino - a smart agriculture technology company, helps growers meet their needs by offering technology services including an online platform for optimized irrigation based on local weather data and soil moisture. Irrigation accuracy is achieved by replacing manual operation with LoRa-based valve controllers to remotely measure the amount of water applied to the crops. 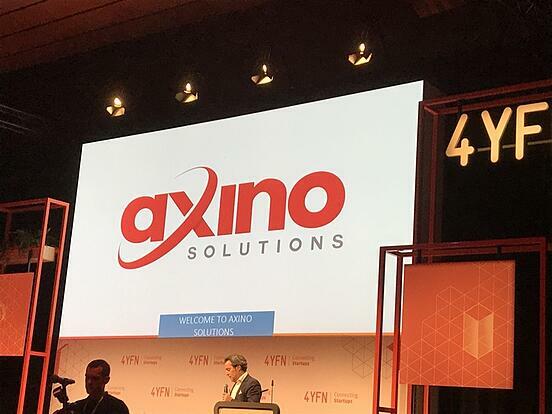 Axino Solutions - a leading supplier of smart refrigeration solutions, created a LoRa-based application combining sensor technology with AI algorithms to predict core temperatures of different refrigerated food items in retail stores in order to comply with food safety regulations. This retrofit solution helps food retailers to digitalize their quality management process, reducing food waste and lost revenues. Learn more about Axino’s innovative food safety solution in their video. To learn more about the diverse global ecosystem powering the continued success of LoRa Technology and the LoRaWAN™ protocol worldwide, visit our website.